Mergers, Acquisitions, and Corporate Restructurings is an all-inclusive guide to M&As that illustrates how restructuring can be used successfully, how each form works, and the laws that govern them. This updated edition includes the latest statistics, research, graphs, and case studies on the private equity market, ethics, legal frameworks, and corporate governance, presented in a more approachable, manageable way. Written from a practical and historical perspective, this book carefully analyzes the strategies and motives that inspire M&As, the legalities involved each step of the way, and the offensive and defensive techniques used during hostile acquisitions. Corporate restructurings are indispensable in building a new generation of re-engineered companies with the power and resources to compete on the global playing field. This book covers the full spectrum of transactions, from megadeals to downsizing, and takes a fresh look at restructuring and how it is being used to revitalize and supercharge companies. The slowdown in the world’s economy means that mergers and corporate restructuring will likely increase. 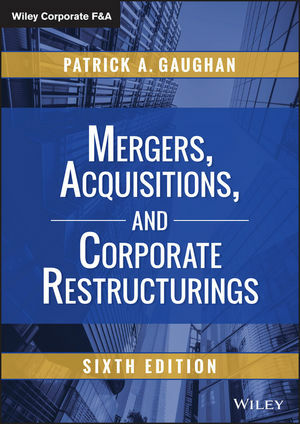 It is essential for students and professionals to fully understand the concepts and mechanics behind these transactions, and Mergers, Acquisitions, and Corporate Restructurings is the comprehensive guide to the field.